Usually I can bang out the gist of a movie in a mere sentence, but the plot of 6 Souls is so convoluted, I'm not sure I can pull that off. First I thought I was watching Primal Fear until I realized that I was really watching Fallen. A psychiatrist loses her husband but not her faith - then is forced to confront a patient who appears to have a severe case of multiple personalities - it turns out he's 'possessed' by the souls of his victims - eventually, she must fight him for the soul of her daughter - as you can imagine, it doesn't end well. Yeah... that's a sentence. Take that, grammar! Now that you know all the plot spoilers, let's talk details. But hey, at least it seems like every time I willfully subject myself to her terrible acting, there's at least some lovely mancandy to ease the pain. 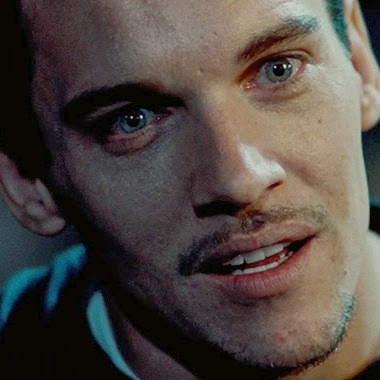 In this case John Rhys Meyers, who remains gorgeous, if not as gorgeous as his time in Titus or Velvet Goldmine. Seriously - drinking problem or not - I would do depraved, debaucherous things to that man. There are some compelling plot elements, but the twisting, turning, complex, absurd parts makes it hard to really get into the movie. There's a little science. There's some demonology. There are ghosts. Then there's an old, blind witch doctor type. There's a crisis of faith and suitable punishment for said crisis. The random details just keep piling up until you're not really sure what's going on but you know it's going to end poorly for everyone involved. I will say this though - I can always get behind a movie that doesn't have a happy ending. I'll also say that they were overly ambitious in setting themselves up for a sequel. That will never happen. The wrap up? I'm not convinced this movie was as bad as people keep saying it is. But it is close. Amusingly enough, I found someone else who felt the same way.